Welcome! I’m David, a regular guy who overcame numerous obstacles from surviving a brutal genocide to achieving financial success through sheer hard work and determination. I want to share my success story on wealth accumulation through the traditional system of getting a strong foundation in education; focused on career aspirations; saving and investing in the stock market; and simply enjoying life along the way. My goal is to inspire my readers that the American dream is alive and well – that it is possible for an immigrant arriving in this great country with absolutely nothing and without speaking English to achieve financial success. My life is all but a beautiful journey. I came from a humble and underprivileged family background which I detailed in my memoirs, 848 Days: A Beautiful Journey. The 848 Days on this blog's title reference to the number of days it took for my family and me to reach America. In short, I spent my early childhood years in a youth labor camp and survived a brutal genocidal regime in Cambodia that cost so many others their lives and to have an abundance of opportunities to succeed through sheer hard work to achieve the American dream. When I was thirteen years old, my family immigrated to the United States with absolutely nothing. My first odd jobs were going door to door, offering lawn mowing services and selling bakery goods at street fairs without speaking English in the early 1980s. Over the years, I had progressed to other more stable and lucrative jobs such as caddying; working at supermarkets and drugstores; and eventually working my way up to an electronics technician before starting my formal career as an engineer at Motorola. Since my very first odd job, all my earnings went to my mother to help the family. The same is also true for my siblings. It was an investment in us and in our future. This taught me the importance of hard work, responsibility, and financial literacy at a young age. Because of this upbringing, I'm a natural frugal person. I had accumulated approximately $20K in student loan debt from my undergraduate and graduate studies. My investment paid off as I graduated with a Master's degree in Electrical Engineering and Computer Science and immediately landed a lucrative engineering career with Motorola in May 1994. I wasted no time in starting my 401K retirement contribution with company matching. To increase my savings further, I chose to live at home with my parents for the first few years. This allowed me to help my parents by offering at least half of my earnings to them. I also bought a car to share with my father. Within the first few years of starting my career at Motorola, I had paid off the car and student loans. I no longer have any other debt hanging over my head. I was off to an early start in savings. In the late 1990s and early 2000s, there were opportunities to switch jobs to dramatically increase my earnings power along with my desire to travel and see the world. I took advantage of the opportunities during the boom years of the telecom industry and the internet dot-com. From 1999 to 2004, I saved almost 100% of my earnings as I was either an expatriate working on assignment overseas or traveling domestically on full company expenses until my wife, whom I met while working in Brazil, and I bought a beautiful house in order to put down roots. I continued to work from a home-based office with extensive domestic and international travel to client locations. This allowed me to continue saving at least 50% of my take home pay. My career earnings accelerated until 2015 when I was laid off and the company eventually went out of business. I was given a very lucrative severance package. Fortunately, I was able to find another engineering career immediately and in a desirable warmer location for my family. In the end, 2015 turned out to be the best year for us financially. Corporate America can be a stressful place but at the same time it does offer a sense of security and stability with a steady salary and benefits. I enjoy working in my industry and in recent years, my involvements have been for a good cause to benefit society in public safety and our country's defense programs. I'm very fortunate to have a great work life-balance which allows me to spend time with my family. I'm also at my peak earning years and we're financially secure today. My goal is not to retire but to continue to stay sharp and focus on opportunities that I love and care about as well as traveling. I plan to cut the cord in less than 8 years or by 2025. I’ll be in my mid-50’s. My daughter will have graduated from college and entered adulthood. Eventually, my wife and I want to return to her hometown in Northeastern Brazil to start a nonprofit organization to promote education for less privileged teenagers in technology and basic engineering skills along with English classes. We want to make learning fun and to use my inspirational story to encourage and inspire young people to stay in school and work hard in life to achieve their dreams. Main income is my full-time job: I'm very fortunate to continue to have a lucrative career that I enjoy in engineering. Derivative Option Strategy: This is my passion, I love high probability option trading. My strategy is simple and yet very lucrative. I sell into strength, out-of-the-money (OTM) calls and puts, in high implied volatility underlying equities, index, and commodity futures to collect premium. I manage my winners often by taking money off the table before expiration at profit in the range of 30-60% of option premium and let the probability play out for my losers. To manage my losers, I often roll out my contracts to give me additional time for the underlying to work in my favor and/or sell a straddle (puts or calls) along with it to help get me to break-even. Occasionally when an underlying equity is assigned, I'll write out call options (i.e. covered calls) against the underlying equity. Being a frugal engineer, I’m overly cautious and very much risk averse, but I'm also a calculated risk taker. I'm very comfortable with this strategy and have been executing on this strategy since 2009. This strategy is often advertised in the financial community as an "Equity Income Generator". The key takeaway is to stay small, take profit often, and wait for opportunity to present itself. To follow my daily trading blog, visit my Option Trading Blog. Max out my 401K and Roth IRA retirement funds: I'm continuing to contribute 15% of my salary to my 401K along with generous company matching of 6 percent. I'll fund an annual maximum Roth IRA contribution for my wife and myself. I'm a self-directed investor and manage my own retirement funds and often use cover calls and other instruments to protect my overall portfolio, especially at market highs. Rental Properties: This is part of my diversification strategy to have multiple income streams. We've a beautiful house in a desirable zip code that we're renting to generate monthly income, paying down the mortgage, and long-term appreciation. Peer-to-Peer lending: This generates a tiny bit of income for us. I've been lending out micro-loans since 2007. My wife is handling this portion of our income stream. Other Incomes: My wife recently started a couple of online businesses (Graphic Designs, Headband Boutique, and YouTube digital content creator). She recently surpassed 150,000 subscribers on her YouTube channel. She is generating some income from her businesses. ​Here is one of my favorite quotes: "None of us are getting out of here alive, so please stop treating yourself like an afterthought. Eat the delicious food. Walk in the sunshine. Jump in the ocean. Say the truth that you're carrying in your heart like hidden treasure. Be silly. Be kind. Be weird. There is no time for anything else." With this in mind, knowing that we each have a certain lifespan, the average life expectancy today exceeds 78 years and continues to rise. The majority of this lifespan is spent working full-time with a recommended full benefit retirement age of 67. Some of us will spend most or all of our earnings as we go along and may hit hard times as they are not prepared for retirement; some of us will sacrifice during the working years to save and invest for retirement. I'm mindful of getting older with shrinking opportunities, thus I'm very focused on saving for retirement throughout my career and have built a comfortable net worth. My wife, on the other hand, is focused on enjoying life. 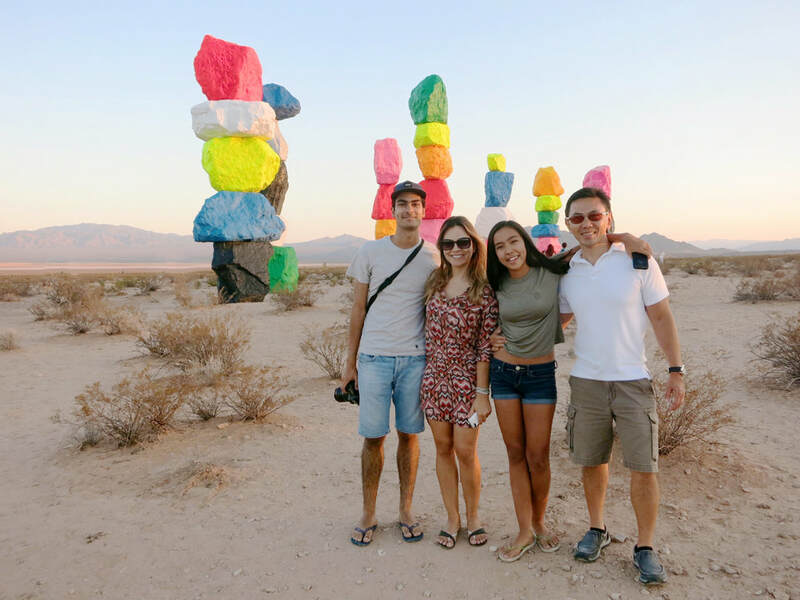 Together, we complement each other, and we're very fortunate to be able to take a median approach to saving and investing for retirement and to enjoy life as we go along as can be seen in our family trips over the years. It is easier said than done but I credit my success story to my well-disciplined humble upbringing, saving early and consistently, and growing my savings by means of investing. Sometimes, you've to reflect on your beginning to really appreciate on how far you've come. I'll always be grateful and humble. Thank you for reading! I'm a father to two beautiful kids and a husband to one great catch!